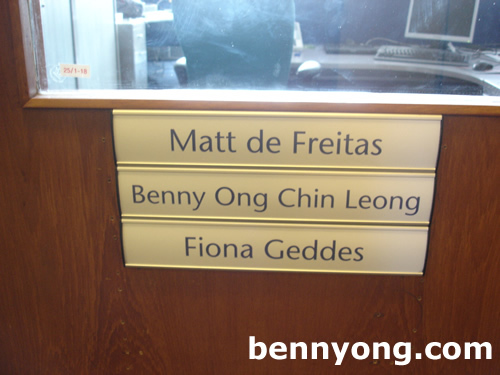 When I arrive back in the office at Southampton after being away for weeks, I was welcomed with a sign of my name on the door. It took a while as I remembered Matt requesting it way back ago but believe it was in line with the upgrade of all signs. It is a shame though as in a matter of months if all the arrangements go well, they will need to take it down as I will be leaving the Southampton office for my next great adventure in Hamburg. If you haven't known, I will be switching roles which will require me to be based out of Hamburg. I enjoyed my time in Southampton and I will carry with myself many loving memories of this place. Well, that's all I feel like saying for the moment!